spread of commercial, residential, manufacturing and retail development. The IT/ITes sector has triggered real estate activity, and new areas are constantly receiving the benefits of rapid development. The Government in Bengaluru is constantly working on improving connectivity with various infrastructure initiates, which in fact has acted as a major driver in fueling demand for residential real estate in the suburbs around the business districts. Whitefield has emerged as a major never centre with the establishment of IT and the subsequent mushrooming of residential options and commercial establishments along with required social infrastructure. Whitefield has a Grade ’A’ Office stock of about more than 25 million Sq.ft. The new supply in the Whitefield is slowly thinning down and is likely to see about another 3.5 million Sq.ft. of supply in next five years based on the projects already planned. 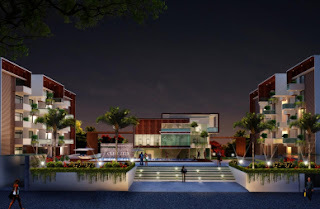 Consequently the Whitefield sub-market will gradually saturate, and this will reduce the number of residential launches in the medium to long term. Kadugodi on the eastern side of Whitefield is receiving the fruits of being an adjoining suburb to Whitefield. Since Whitefield is a key Office space hub, nearby Kadugodi is seeing steady demand for residential spaces. As a result, Kadugodi has emerged as a thriving mid-end residential location near Whitefield. NH35 and road connection Hoodi Circle to Kodegahalli Road are the key stretches witnessing residential activity with more mid-segment housing developments. Over the years, Kadugodi and surrounding areas like Channasandra have witnessed increased demand from both real estate developers and home buyers, largely due to the development of Whitefield. Although Whitefield is witnessing large volumes of residential project development along with Office and retail space development, Kadugodi is seeing considerable spin-off demand. Improving connectivity is an important market driven in Kadugodi. The Whitefield Railway station is located in Kadugodi, which is also well-connected through the ITPL road and NH 35. Moreover, the portion of Namma Metro Phase-II which is an extension of the East West Line is an extension of the Baiyyappanahalli to Whitefield – currently under proposal – is likely to improve connectivity at Kadugodi even further – land acquisition for this infrastructure project is in progress. Meanwhile, a signal-free corridor is proposed from Old Madras road to Hope Farm Junction by BBMP. Though it is still awaiting approval, this Project is likely to ease the traffic flow towards Kadugodi. These infrastructure projects will drive development at Kadugodi and its surrounding locations significantly over the next 5 to 10 years. The price range for properties in this location is Rs.3,500 to Rs.4,200 per Sq.ft. 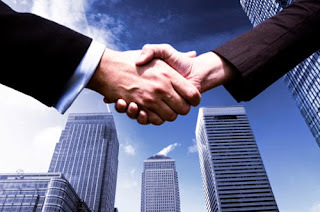 Equity deals are back in Real Estate Industry. Equity deals are finding favour with real estate private equity funds (PE) once again. Many real estate funds were doing pure debt deals or structured debt deals with property developers at these deals ensure guaranteed returns. PEs are looking at developers who have city-centric projects with high return prospectus. The new funds to be launched by the likes of HDFC property fund and Motilal Oswal Real Estate fund would do equity investments apart from debt deals, said consultants. Fund Managers such as Kotak Realty Fund, Apollo Global Management, Sun Area and Hines, among others, are also looking to do equity deals apart from doing debt deals. The significant reason: In equity deals, they could make an internal rate of return (IRR) of 26 to 27 percent, against pure debt deals where they could make only 17 to 18 percent and mezzanine deals where they could make 22 to 24 percent return. According to Knight Frank India, equity deals are making a come back also because a lot of developers with good track record do not want to take high cost debt. He added that if funds expect high returns, the only way to generate returns upwards of 20 percent is either to do hybrid debt or go for equity deals. Given the capitalization of real estate companies at this point of time, equity has become an important element for funds. The Union Cabinet recently gave its approval to the ambitious “Housing for All by 2022” scheme under which people from the low-income group can avail of loans at a much reduced rate of 6.50%. After the approval, the Central Government launched the “Housing for All by 2022” mission to give a major boost to affordable homes for the urban poor and low-income groups. The Cabinet, at a meeting chaired by the Prime Minister, accepted the recommendations of inter-ministerial committee to increase interest subvention to 6.50% on housing loans to beneficiaries of the economically weaker sections, including slum dwellers, and low-income groups. The Urban poor will thus benefit by around Rs.2.3 lakhs each, and their EMI will be reduced by Rs.2,852/- per month. As a part of the National Urban Housing Mission in urban areas, the government would seek to provide central assistance in the range of Rs.1 lakh to Rs.2.3 lakhs per beneficiary under different component to build 2 crore new houses to meet the housing shortage, over the next 7 years. There are four components to the National Urban Housing Mission. As for the redevelopment plan of slums with the participation of private developers using land as a resource component, the central government grant would be Rs.1 lakh on an average per beneficiary, while the State/Union Territories are at liberty to use this grant for any slum redevelopment schemes to be taken up to make such projects viable, if required. Additionally for affordable housing through credit-linked subsidy scheme, an interest subsidy of 6.50% on each housing loan to Economically weaker sections and LIG beneficiaries would be provided by the Central Government. Under third component of affordable housing in partnership with private and public sectors, the Central Government’s assistance of Rs.1.50 lakhs to each beneficiary would be provided to promote housing stock for urban poor with the involvement of private and public sectors, provided 35% of dwelling units of the projects proposed are earmarked for Economically weaker sections category. Lastly, as part of subsidy for individual beneficiary-led construction or enhancement of houses, the Central Government’s assistance of Rs.1.50 lakhs would be provided to each eligible urban poor beneficiary to enable him built his own house or undertake improvements to existing houses. The Urban Housing Mission will be taken up in all the 4,041 cities and towns. Initially focus would be on 500 cities and towns with a population of one lakh and above each, as they account for about 75% of urban population. 100 such cities will be included in Phase-1 (April 2015 – March 2017) and 200 cities in Phase-2 (April 2017 – March 2019) and the remaining would be covered during 2019-2022. 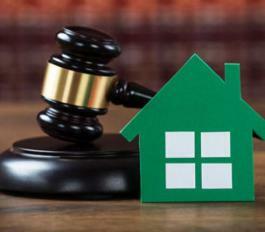 The National Consumer Disputes Redressal Commission’s (NCDRC) directive to Unitech to pay compensation at 12% per annum for delaying delivery of apartments to buyers in one of its Gurgaon projects is likely to become a precedent in cases filed by several other home buyers’ associations across the country, according to Experts. As per information, more than half of the real estate projects across the country are currently delayed by over 12 months, of which about 25% are delayed by over 36 months. The above Judgement and Order of NCDRC will impact all cases where buyers are looking for possession of their flats. People are now aware that they can take on a builder and get reprieve from Courts and Tribunals. Many people who were scared earlier but now on the strength of this Judgement and order, have got a ray of hope; and venturing to file a case against Unitech. National Commission for Consumer Disputes. The National Consumer Disputes Redressal Commission ( NCDRC ) recently directed realty major Unitech to pay compensation to buyers for delay in flat delivery. The new delivery dates promised by the Realtors are between February 2016 and February 2018. The NCDRC also directed that any delay beyond the new deadline promised will draw a compensation of 18% per annum. 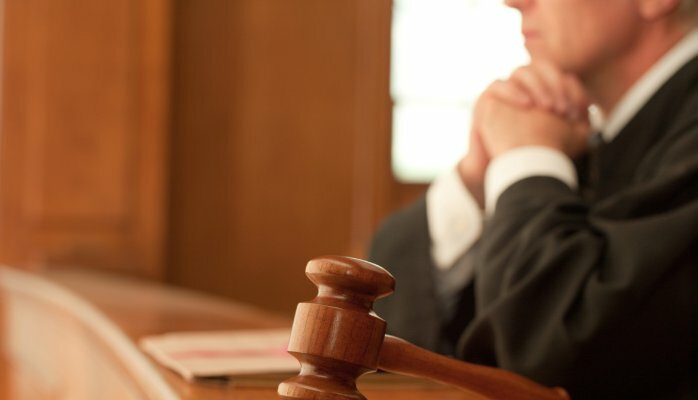 “In order to ensure that the opposite parties honour the revised date of delivery of possession, compensation in the form of interest at a rate higher than 12% per annum should also be paid by the developer if the revised date of delivery of possession is not honoured” the Judge ordered. The NCDRC further ruled that any unfair trade practice can be challenged by it, even if there is a prior agreement between the parties. “When the buyer is made to pay 18% penalty for default, is it fair on the developer’s part to pay a mere 1.8%? Justice had said. Builders in Haryana state will now have to take all the necessary precautions while carrying out construction to ensure that no activity right from ferrying construction material and storing it at the site, to raising a structure and removing debris, emits dust. A spokesman of the Town and Country Planning Department said the building would have to strictly adhere to the orders issued by the National Green Tribunal (NGT) and the directions given by the Union Ministry of Environment and Forests in this regard. All the construction material and debris shall be carried out in trucks or other vehicles which are fully covered and protected. “Any person, owner and/or builder is found violating any of the conditions shall be liable to pay compensation of Rs.50,000/- per default. The Reserve Bank’s decision to cut key interest rates is likely to reduce borrowing cost for both home buyers and developers leading to increase in housing demand, realty firms and consultants say. The realty firms and consultants sought further cut in interest rates and policy reforms for the growth of realty sector, which is facing a huge demand slow down in last few years. It is a good move and the Banks should now pass on the benefit to boost demand. They further say that the interest rates on home loans should be fixed between 9 to 9.5 percent. The President of Realtors’ Apex body CREDAI terms RBI’s decision as good step but too less and he opined that the market was expecting bigger reduction; and that the Banks should pass on the benefits immediately to the buyers, as per RBI directions, which only will stimulate the over all demand. In fact this move of RBI has come as a breather for the real estate sector; and such liberal moves coupled with policy reforms are necessary for the revival of the real estate sector in our country, they added. The realtors also opine that the cheaper loans for home buyers will prompt a renewed interest in residential property purchase from end users as well as investors. The term “Insolvent”, in common parlance is referred as Pauper or Bankrupt. An insolvent is not considered a legal person for the purpose of enforcement of any obligation committed by him either during the pend ency of insolvency proceedings or after he is adjudged as insolvent. To adjudicate a person as an Insolvent, such a person has to be a “Debtor” and should have committed an act of insolvency. A debtor, under these Acts, includes only those who are subjected to Indian laws, either by birth or by domicile including a temporary residence. Thus, a foreigner cannot be adjudged insolvent by a court in India unless the alleged act of insolvency was committed or suffered by that person during his personal residence in India. The expression “Property of an Insolvent”, has been defined as only the property of the insolvent which is divisible amongst the creditors and not otherwise. It includes any property over which or over the profits of which any person has the power of alienation which can be exercised for his own benefit. The word 'property' includes the right in the property or things of a person. 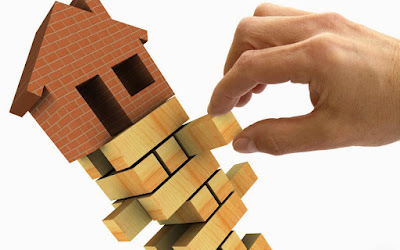 However, to constitute the property, an insolvent should have an interest in praesenti to dispose of the same and not such an interest which may depend upon the fulfillment of certain conditions or contingencies. 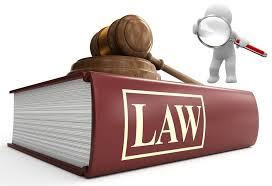 1 Property belonging to an insolvent at the time of commencement of insolvency proceedings. 2 Property which may be acquired by or devolve on the insolvent after the order of adjudication and before his discharge. 3 Goods in possession, or disposition of the insolvent. (b)Tools of trade, apparel and other similar property. The right and interest of an insolvent over the property do not automatically get transferred in favour of the Official Receiver upon passing of an adjudication order by the court unless the Official Assignee intervenes on behalf of the insolvent. Where the official assignee does not intervene and the insolvent transfers the said property to another person who takes it in good faith and for value, the transferee acquires a good title to the property. Power to sell: The Receiver is empowered to sell the insolvent's property without the consent of the Court. 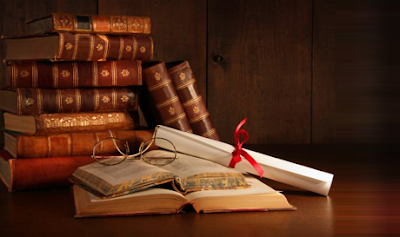 But the aforesaid Acts do not empower the receiver or the official assignee to sell anything more than the property of the insolvent which vests in him by reason of the adjudication. Power in case of mortgaged property: Where a Receiver is appointed by consent of the parties after passing of a decree in a mortgage suit for sale of such mortgaged property and it is agreed that the receiver shall recover the rents of the property for a period of one year to hand over the same to the mortgagee, the mortgagee's right to receive the rents will not be affected by insolvency of the mortgagor at any time during this period and neither the official assignee nor other decree-holders will be entitled to a rateable distribution of such rents. Section 53 of the Provincial Insolvency Act provides that a transfer of property not being a transfer in favour of a purchaser in good faith and for valuable consideration shall, if the transfer is adjudged insolvent within two years after the date of transfer, be voidable as against the Receiver. Further, where the debtor transfers all or substantially all the properties in consideration of the past debts, such a transfer constitutes an act of insolvency since it has the effect of withdrawing all the property from the legal process, which his creditors have a right to enforce against the insolvent. Occupants of over 400 flats in four complexes in Panvel, Navi Mumbai, are in danger of losing their homes after the Bombay High Court on Tuesday directed the societies/builders to maintain status quo. The division bench of Justices A S Oka and A S Gadkari, while hearing a public interest litigation against the alleged illegal constructions in Panvel, directed that construction - wherever it was going on - should be stopped. The affected societies that have been constructed on the plot, near the State Transport bus stand, are Ambika Nagar CHS, Aspire CHS, Pushpadham CHS and Neelkanth Landmark. Of these, Neelkanth is a commercial complex and the construction is still on, while people have already taken possession of their houses in the other three societies. The court also directed that if the flats which are occupied or unsold are being sold, the purchaser should be specifically informed about the on-going litigation, and also told that the fate of the said flat will depend on the final outcome of the PIL. "A tragedy like Campa Cola should not happen again and the flat purchasers should not claim equity saying we are innocent purchasers," the court observed. The court also noted that there was prima facie illegality committed in granting permission to develop the said plots, where four societies comprising various buildings stand. Panvel resident Yashwant Bhagat, represented by advocate Rajendra Pai, had filed the PIL in 2009 after he noticed construction on the plots. On inquiry and with help of the Right to Information Act, he found that the land parcels belonged to the city planning authority CIDCO. The land on which these societies stand, constructed/under-construction on four different plots measuring a total of 18,500 sq mt, were originally acquired from local residents by the state government after it envisaged the scheme to develop a satellite city (Navi Mumbai). This particular area then fell under the limits of the Panvel Municipal Council (PMC). The CIDCO, represented by advocate Ashutosh Kulkarni, has been supporting the PIL and seeking that the land be returned to the body. Certain portions of the land are earmarked for railways for the Panvel-Diva railway line, while certain other is for Panvel-Matheran road and the balance for CIDCO. The PIL alleged that one Jitendra Timbadia got the land converted for non-agricultural use from the Collector, entered into agreements with four different builders/developers and the PMC granted development permissions, despite the fact that PMC had no such powers since the land had already been acquired by the state. During various hearings, the HC had directed Konkan's divisional commissioner to conduct an inquiry into the episode. The divisional commissioner, in an affidavit filed in March this year, along with the report, in a way ratified the contentions raised in the PIL. However, according to Timbadia, not only the development permissions but occupation certificate too has been obtained for the residential buildings, and hence there is no illegality on his part. The CIDCO too filed an affidavit saying that PMC did not have powers to grant development permission since it (CIDCO) was the planning authority. The CIDCO informed the court that the authority had been issuing stop work notices to the builders since February 2009 itself, but they carried on in blatant violation, ignoring its notices. According to CIDCO, it had informed other concerned authorities such as the PMC about the same, but it paid attention only after the HC came into picture. The case will now be heard in January, after court's Christmas vacation. The Consumer Protection Act 1986 provides three tier adjudication of disputes between the complainant and the opposite party. These adjudication bodies are (1) District Forum, (2) State Commission and (3) National Commission. Hierarchy-wise District Forum is the lowest redressal agency. The District Forum consists of three members: the President and two members. The President will be a judicial member and members are non-judicial persons, who have knowledge and experience of minimum ten years dealing with the problems relating to economics, law, commerce, accountancy, industry, public affairs or administration with a bachelor degree from a recognized university and who is not below the age of 35 years. One of the members shall be a woman. They must be persons of ability, integrity and standing. The District Forum has powers to entertain complaints, where the value of goods, services or compensation claimed does not exceed Rs.Twenty lakhs. Apart from financial jurisdiction, the District Forum has territorial jurisdiction. A complaint may be lodged in District Forum within the local limits of whose jurisdiction the opposite party and if there are more than one opposite party, each of the opposite party normally resides or carries on business or has a branch office or personally works for gain at the time of institution of complaint, or any of the opposite parties where there are more than one, normally resides or carries on business, or has a branch office or personally works for gain. Permission of the District Forum is necessary or alternatively the other opposite parties who do not reside in the jurisdiction of the District Forum have to agree for such filing of complaint. Even the complaint may be filed in District Forum in whose jurisdiction is the whole or part of cause of action arises. The limitation period is two years from the date on which cause of action has arisen. The Forum may permit filing of the complaint even after the limitation period of two years, if the complainant satisfies the forum about the sufficient reasons / causes for delay in filing the complaint. However, the forum has to record reasons for having waived the limitation period. Consumer Protection Act 1986 has prescribed certain procedures for filing a complaint with the District forum. The complaint shall be within the pecuniary and territorial jurisdiction and shall be within the limitation period. The complaints along with the supporting documents shall be filed before the District forum, in addition to as many copies as the number of respondents. The District Forum entertains complaints, which are related to goods sold, or agreed to be sold or delivered or to any services provided or agreed to be provided. The complainant; i.e. the person who files complaint must be a consumer to whom goods are sold or agreed to be sold or delivered, any services provided or agreed to be provided. Any recognized consumer association may also prefer a complaint. It is not necessary that the consumer who has actually suffered should be a member of such an association. In case there are more than one consumer, where all the consumers have common interest, any one may file a complaint with the permission of forum. The Central or State Government may file a complaint in its individual capacity or as a representative of consumer interests in general. Each and every complaint to the District Forum shall have proof for having paid the prescribed fee. Depending upon the merits of the case, the forum may accept the complaint or reject it. But no complaint will be rejected unless an opportunity is provided to the complainant to present his case. The District Forum has to decide about the admissibility of the complaint within twenty-one days of receipt of complaint. 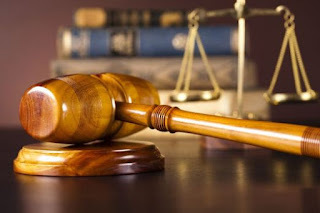 When once the complaint is admitted by the District Forum, it shall not be transferred to any other court, tribunal or authority set-up under any law, which is in force for the time being. After admission of complaint, the district forum forwards the copy of the admitted complaint to the opposite party, within twenty-one days of admission of complaint, for submission of his version of the case. The opposite party has to submit his version of the case within thirty days. This period may be extended by another fifteen days at the discretion of the forum. A failure to plan results in ultimate failure in other aspects also, even though we never intended it to be like that. The lack of planning has caused confusing growth in our city as well as in overcoming strategies. We could have a strategy to plan traffic efficiently with proposals for dedicated lanes for different kinds of vehicles (i.e 2 & 3 wheeler separate from 4 wheedlers), continuous one way traffic planning thus creating north-south and east -west corridors through the city. There could be systems of synchronised traffic lights on the chief arterial routes. automobile traffic. It seems that the latter is the only criterion for planning in this city: as though pedestrian traffic was not significant and did not need planning. Pedestrians have been sidelined. As roads are always being widened pedestrians receive the left- overs so that many are compelled to walk on the road next to the automobiles. This is a typical example of short sighted city planning. Why are pedestrians treated as second class citizens while they risk their lives by walking along the vehicular traffic that causes inconvenience to both the sides? For healthy living for human beings, walking is an important part. Why then do our cities not make a way for and encourage pedestrian movement? Why has it become such a dangerous affair in urban areas? Sometimes roads are widened to such an extent that sidewalks have become non-existent. expanded sidewalks have begun to diminish and may become extinct. roads. This would encourage people to walk to nearby destinations instead of using vehicles. This would help them to remain healthy and bring down pollution and vehicular congestion. Bangalore traffic. How can a person walk easily when the sidewalks are not evenly laid out or are too narrow to allow two or three people to walk side by side? What kind of message does this give to the physically challenged and elderly people? Who is responsible for so many pedestrian casualties that happen on account of a wrong planning or lack of implementation of sidewalks? There should be accountability through the court system when the city authorities are held responsible for accidents or deaths taking place because of official negligence ( as surely as private businesses are punished when accidents or deaths happen because of negligence in their premises). For making Bangalore a pedestrian friendly city, traffic planning should also have planning for pedestrian traffic flows in the city giving priority to providing connections to parks, water bodies and open spaces. There should be good linkages for pedestrians with its parks, water bodies and open spaces via tree lined pedestrian sidewalks with complementary bicycle lanes along with them or on the road. There should be efficient, functional city planning to enable pedestrians to move freely from one residential area to its community park on a neighbor- hood scale and from one park to another or to water bodies throughout the city. Ulsoor lake would help to make these great city assets more open to the whole city's residents rather than only to their immediate neighbourhoods. Pedestrians and bicyclists (the health conscious public and the elderly) could commute between the city and the cantonment sections via this axis. It would help bring pedestrians from the city section to the centre of the cantonment and vice-versa thus making their journey leisurely. It has to be planned for. Such pedestrian connections through wider and better tree lined sidewalks and functional links throughout the busy streets should be planned. Tn this way Bangalore would become a pedestrian friendly city and improve its quality of life. In the case Shrimant Shamarao Suryavanshi Vs Pralhad Bhairoba Suryavanshi the Supreme Court Justice V.N.Khare Bench in Appeal (civil) 2706 of 1991, has discussed the law under Section 53A of the Transfer of Property Act relating to part performance whether such a defence could be taken by a person to protect his property, even though the limitation to bring an action for specific performance to enforce such contract has expired. The Special Committee constituted to go into the details Section 53A of Transfer of Property Act, also considered the question whether protection under the proposed Section 53-A to a transference would also be available even if the period of limitation for bringing an action for specific performance of an agreement to sell has expired. On the said question, the Committee was of the view that even after expiry of period of limitation, the relationship between the transferor and transferee remains the same as it was within the period of limitation and, therefore, the possession over the property taken in part performance of an agreement is required to be protected even if the period of limitation for bringing an action for specific performance has expired. As there are only a few takers for 1BHK flats, the Bangalore Development Authority (BDA) will not construct one-bed room (1 BHK) flats any more in its new projects. 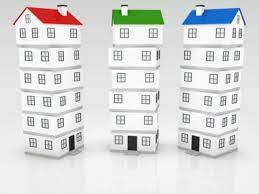 As per the BDA officials, there is more demand for two and three bedroom flats in its new projects. Most of the demand is from Kengeri, where the BDA is executing five projects. In Doddabanahalli near Whitefield, two of BDA projects are going on and here also demand is for two and three bedroom flats. The other projects in JP Nagar 9th Phase, Kothanur and Thippasandra are also in demand. Buyers in these projects are mainly interested in two and three bedroom homes. The officials have said that they will not construct single- bedroom houses any more in the upcoming layouts and new locations, after completing the existing projects. Out of the 30,000 flats the BDA would construct 7,000 are one-bedroom units in 17 locations and 4,200 were notified in the first phase. Of these nearly 3000 buyers were given flats through lottery drawn at BDA’s head office on December 26, 2013. For the second round of allotment, the BDA has issued notification offering 4,100 flats and it is likely to be done with in a month’s time. 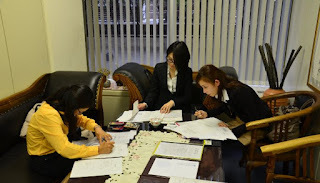 The last date for receiving applications was on June 7, 2014. Out of these the BDA is offering 2,800 1BHK, 1,000 – 2BHK and 384-3 BHK flats. The BDA has informed the rates have not been revised. For 1BHK, the rate for economically weaker sections is 7.5 to 9 Lakhs. Under general category, the price ranges is Rs.10-13 Lakhs. The rates for 2 BHK flats is Rs.20-25lakhs whereas, the rate for 3 BHK flats are ranging from 30-35 Lakhs. The ongoing 17 projects are located at various areas like, Alur (tumkur Road), Malagala (Nagarabhavi), Halagevaderahalli (Rajarajeshwarinagar), Thippasandra and Kothanur (Anjanapura), JP Nagar 9th Phase, Kaniminike (Mysore Road), Doddabanahalli (Old Madras Road), Gunjur (Varthur Road), Visvesvarayya Layout, Kengeri and Nandini Layout. In India now even tier II cities are going digital for property search as per the survey conducted by Google India, one of the best search engines on internet. 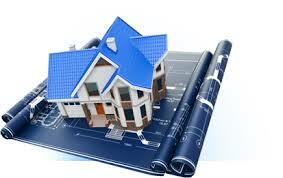 As per the study internet has given a boost to real estate industry. Nearly 50 percent buyers are making decisions based on research on the internet. This has resulted in transactions worth $43 billion out of which residential market share was $31 billion and commercial properties share was $12 billion. A study conducted by Google on the basis of all India offline research by the agency Zinnov and real estate related search query trends on Google says that this phenomenon of researching online for real estate information was not limited to metros but also extended to buyers in Tier II cities. Nearly, 6,000 respondents in this survey rated the internet as the main source for property information followed by print media and sales/brokers offices. Twenty four per cent of respondents rated the internet as the top destination for information. This study was conducted across 15 cities in India and it revealed that 74 per cent focused on residential buying while 26 per cent were searching for residential renting. Further, 23 per cent were in the market for resale property only and 30 per cent were looking for new property under construction. Mr. Nitin Bawankule, industry director of Google India has said that real estate search has grown three times higher in the last three years, the rate over 350 per cent in tier II cities and over 53 per cent search queries are done with clear intention to purchase. He has further said that there is tremendous opportunities for real estate players as the industry is expected to grow by $140 billion by 2017 and internet audience base is expected to reach over 450 million by that period. Mobile phones usage is also on the rise for accessing real estate information online with nearly 55 per cent buyers using it to access the information. Developers are trimming the size of Flats by around 100 Sq ft to make the prices affordable. This trend was noticeable in a study conducted in over 50,000 mid segment new houses across eight cities in India in the first quarter of 2014. As per the global real estate consultants Cushman & Wakefield (C&W) this has resulted in average 6 per cent in the cost of such apartments. Among these cities, Noida has recorded the sharpest decline of 16 per cent in the newly launched home sizes. This has helped in controlling the cost of apartments despite a 17 per cent increase in rates per sq.ft. The report says that apartments announced in Mumbai have seen a reduction by 12 per cent in size to bring down the cost of apartments by 9 per cent over the last year. Other cities which have seen drop in the size of the apartments are Ahmedabad 8 per cent, Chennai 3 per cent, Hyderabad 9 per cent, Pune 6 per cent and Gurgaon 3 per cent. However, in the same period the price per sq ft of new launches was not disturbed as per as possible. Further, the consultant’s report also says Chennai, Gurgaon and Hyderabad had seen an additional push towards creating affordable prices which saw a decline in price of new launches. These projects were located in peripheral areas which are price sensitive and the sales were driven by end users. Mr.Sanjay Dutt, executive MD, South Asia of Cushman & Wakefield has said that the developers have cut sizes as the residential sector is driven by end users demand. Also, the some of the developers were stressed due to mounting inventories and thought affordability is the key to ease the situation. Due to bad economic conditions and low confidence, the end users were shying away from making purchases for a long time.